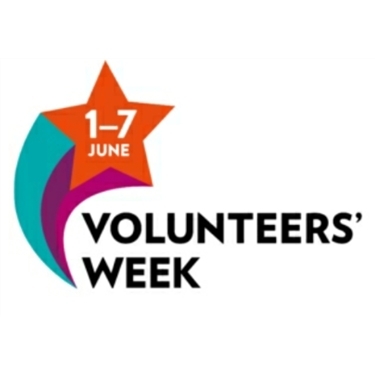 Volunteers' Week, 1 to 7 June 2018, is a chance for many organisations to say thank you for the fantastic contribution millions of volunteers make across the UK. Fram and Sax CP continually celebrates our own volunteers. We recognise that without them the branch could not have helped many hundreds of cats and kittens for almost 30 years. If you have a little time to spare, perhaps you could join us. Call us or view our website to find out more about what we do. Event Dates: Meet us at:Cat Care Talk, Halesworth Library 6 June; Saxmundham Free School Fun-day 16 June; Woodbridge Regatta 17 June; Heveningham Country Fair 30 June-1 July. See website for times. Feline care: Tips to keep your cat safe in the garden this summer. Whilst most felines will be perfectly secure in the great outdoors, there are potential garden hazards for cats –keep them safe this summer by following these tips. - Ensure your cat is fully vaccinated to protect against diseases and parasites. Neutering is also vital to prevent unwanted kittens and to reduce roaming, keeping your cat closer to home. - Protect your cat with appropriate flea, worm and tick treatment. Your vet will be able to advise on which is suitable for your pet. - Cats with white fur, including those with white ears or noses, can be susceptible to sunburn and sun exposure can trigger a type of cancer. Try to keep your cat indoors during the hottest part of the day and outside provide shade with plants and trees outside. - Be aware of poisonous substances in your shed and garage. Antifreeze, disinfectants, insect and pest killers can all be lethal to cats and should be kept well out of their reach. Choose cat-friendly plants such as catnip (Nepeta cataria), mint, cat thyme (Teucrium marum) and lavender. A patch of longer grass can provide a soft bed and cats may also nibble on it to help cough up hairballs, while logs make excellent outdoor scratching posts. - Make sure barbecue coals are properly cooled with water once you are finished to prevent burns should a cat jump onto them. - Keep the doors of sheds and garages shut. Be careful not to accidentally trap cats inside outbuildings during hot weather or when you go on holiday. - Cats Protection recommends microchipping as a safe, effective way of identifying your cat should he become lost when outdoors. Cat Quotes: “The smallest feline is a masterpiece.”—Leonardo da Vinci (artist, Mona Lisa). Looking for a home: Reagan is a 10 year old, handsome shiny chap who is looking for a peaceful home. He enjoys fuss and cuddles and like to 'chat'. If you can offer him a comfy place to snooze and a garden to explore, please come and see him soon.